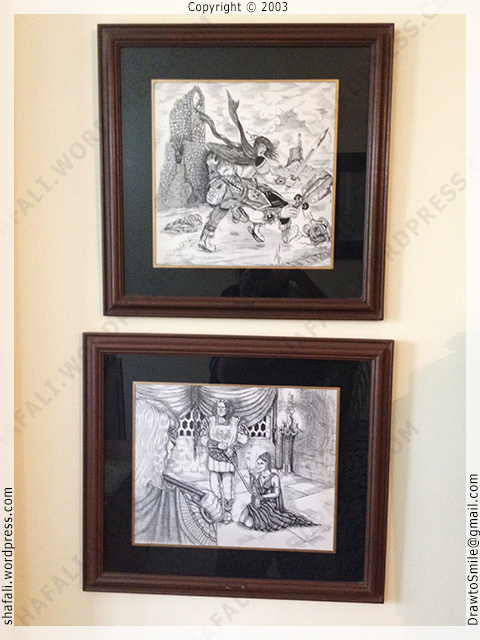 Cartoons vs. Caricatures – What is the difference? 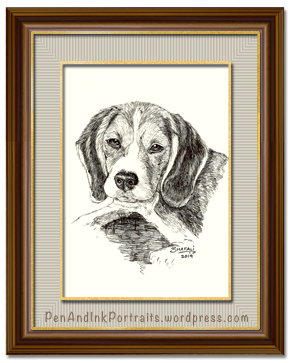 In this short post, I would like to differentiate between cartoons and caricatures, and then discuss the gray area that lies between the two. I’ll begin by reaching out for my Merriam Webster Collegiate dictionary – Tenth Edition. Yes, I do it the old way…lug that bulky tome to my table and then patiently flip the pages until I find the word that I am looking for! I find the word “caricature” – in the first column of page 173. Let me pick the definition for you. And now I flip a couple more pages to find the term cartoon. As you can see, a caricature exaggerates the characteristic features of a subject (person, place, or thing,) whereas a cartoon is a simplistic, unrealistic, one-dimensional(?) portrayal (of what? – anything, even that of an abstract concept.) Notice the elements missing from a cartoon – a “real” subject, whose features are being exaggerated, also notice the additional element of simplistic rendering. So exaggeration of the defining features would lead to a caricature – ex: caricature of Bill Clinton, with his nose, his jaw, his florid complexion – all exaggerated, leading to his picture becoming a funnier version of the subject’s likeness. And a simplistic rendering of anything (including a subject: person, place, thing, concept) would be a cartoon – ex: the following cartoon drawing includes cartoons of three persons, a few objects, and presents a concept. But then a caricature of a person may be rendered simplistically enough to be called a cartoon too, and hence the confusion. For example, the cartoons of Ajit Ninan published in The Times of India are not just simplistic renderings, but they also exaggerate the characteristic features of the politicians to poke fun on them. 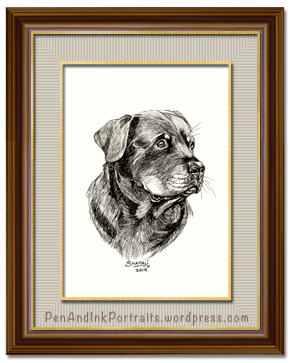 While they are still cartoons (simplistic rendering,) they are also caricatures of specific subjects. 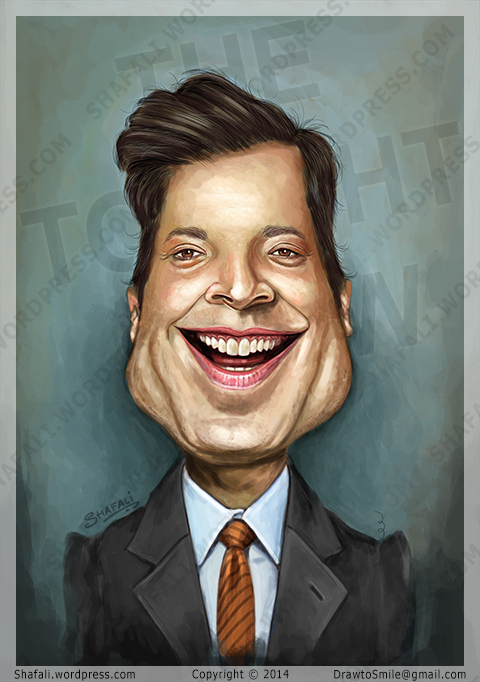 Now hop to my art gallery here to enjoy some colorful caricatures. This one is for you. StudioVox interviewed me last month, and the interview went live just a few hours ago. StudioVox is an online network for creative professionals. They’ve recently partnered with Robert Redford‘s Sundance Studios to provide artists with an opportunity to exhibit their works in the Studio’s gallery. 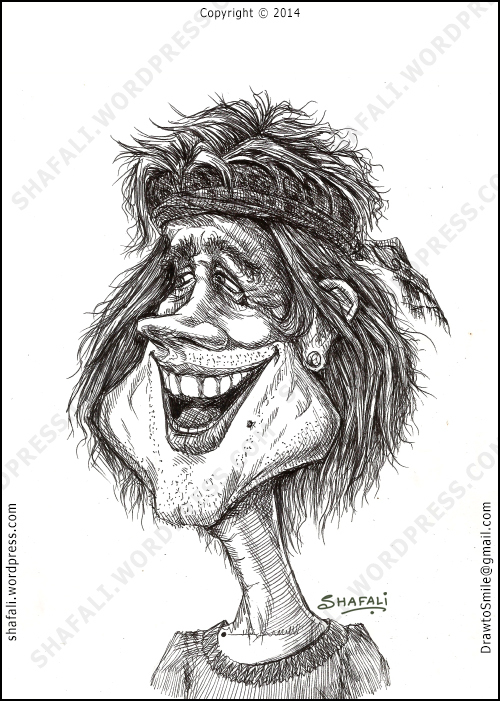 If you are interested in learning my thoughts on caricature-drawing and painting and are looking for a few quick tips, head over to StudioVox. 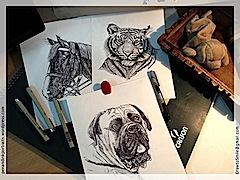 If you want to set up and Art Gallery and connect with fellow artists, Studio Vox provides an interesting, easy-to-use environment that facilitates connecting with other artists. I wish you all a Fantastic New Year ahead. May this New Year bring you Health, Happiness, and Joy. It’s 2014 already 🙂 For me 2013 was a tough year laced with many tough decisions, and I am glad that it’s over. Here’s a short list of Resolutions that I intend to keep come what may. 1. 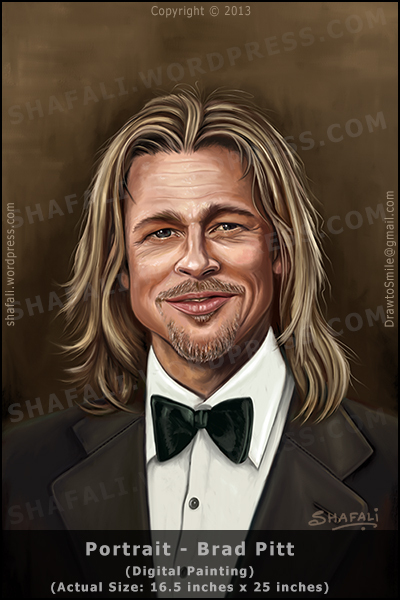 Publish “Evolution of a Caricaturist – How to Draw Caricatures.” The book is almost final and I am working on its cover. If you’ve got an e-Reader (Kindle, an iOS device, or an Android device,) this book will become available for download from the Kindle eBook Store in about a week’s time. Yesterday the number of signups touched 100. Thanks so much for your interest in the book, please expect to hear from me in a couple of weeks. If you haven’t signed-up for the announcement yet, you can signup here. 3. 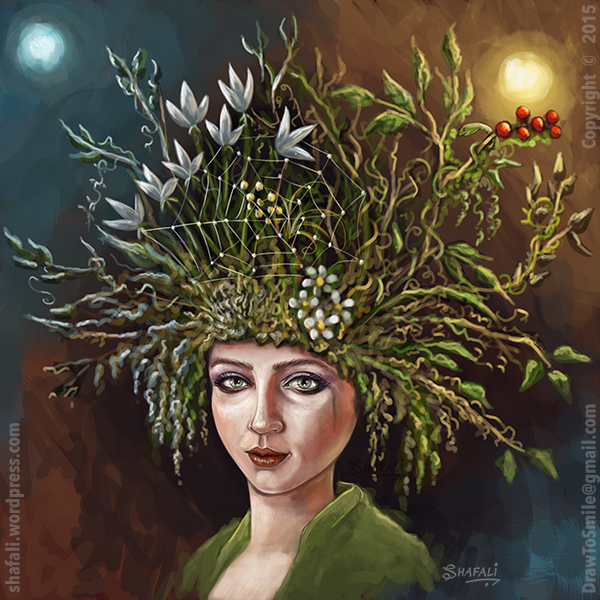 Create and publish a Monthly Newsletter called “Draw your Dreams” for the self-taught artists around the world. I’ll announce it before January end. 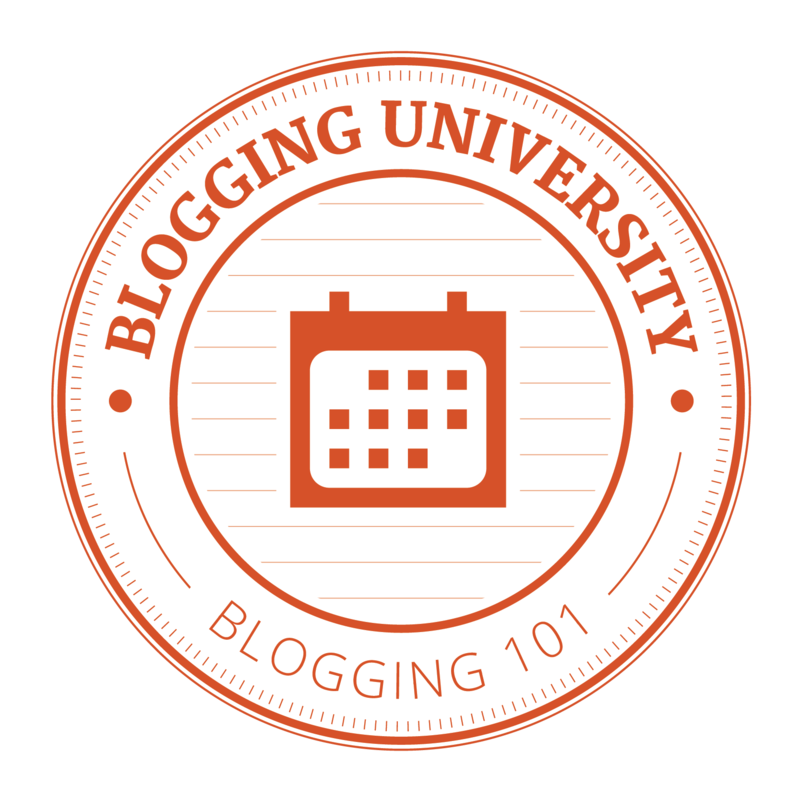 While you don’t know what it is, but if you trust me enough to know that it would be something useful, you may want to read more about it and Signup for the Newsletter here. 4. Continue work on my next book, Evolution 2 – “Evolution of a Cartoonist – How to Draw Cartoons.” Half of the book is already written and sketched, but it still exists in the form of two notebooks. 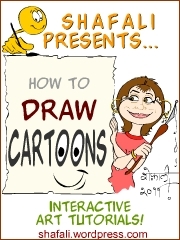 I need to enrich the chapters, make the drawings, and ensure that it doesn’t stray from its goal of providing real learning to the budding cartoonist. I hope to complete it by the end of July 2014, and I’ll keep you posted on its progress. 5. 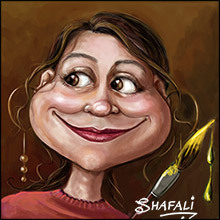 Find time to create some caricatures especially for this blog. Recently, most of my time is spent working on art-assignments, which doesn’t leave me with sufficient bandwidth to create drawings especially for this blog, but I intend to correct this trend. 6. 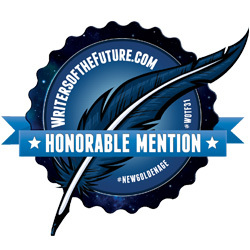 Visit other magnificent blogs and make some new cyber-friends. 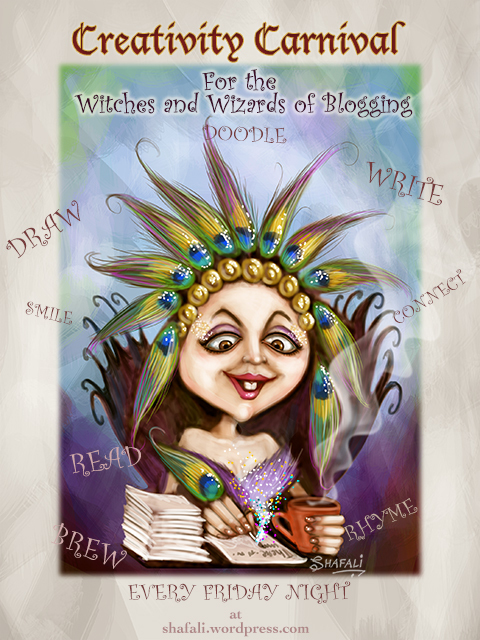 This long list is a tall order for this short caricaturist, but she hopes to keep her promises. 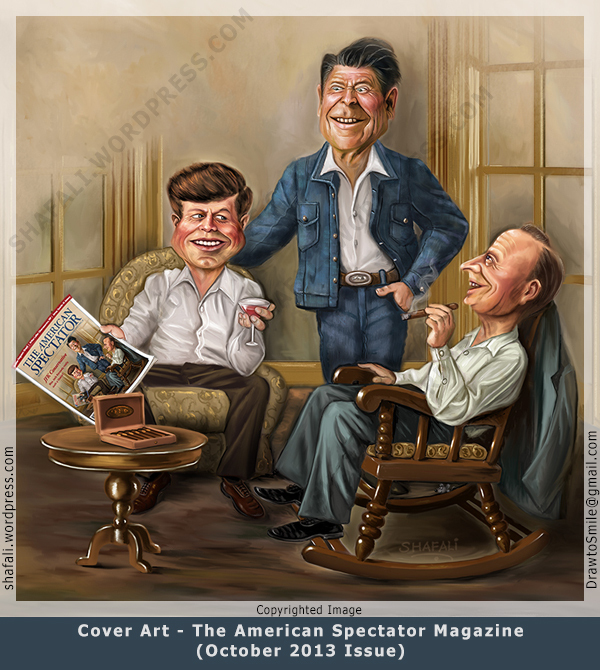 Cover Art -The American Spectator Magazine October 2013 Issue. For the last two months, I’ve been working on something very different and something really detailed…something that has kept me away from creating caricatures for this blog (ok…I did Merkel’s caricature, but other than hers, all the other caricatures that I’ve been doing are for that other project…and oh, that project really has nothing to do with caricatures.) Confused? You should’ve heeded my warning. Now let me tell you about my recent work for The American Spectator magazine. I painted the cover page of the October issue of the magazine, which features three of the most admired Presidents of the United States. The forever young and handsome John F. Kennedy, the White House Cowboy Ronald Reagan, and the silent but strong Calvin Coolidge. My copies arrived two days ago, and just before I finished work last night, I took this picture of it. 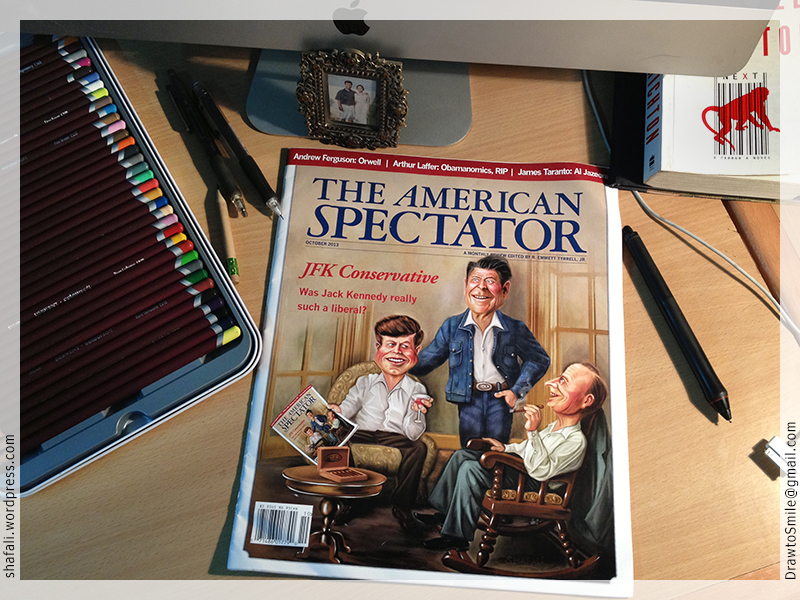 When I learned that The American Spectator would like to me to paint the three Presidents together, I felt really happy. 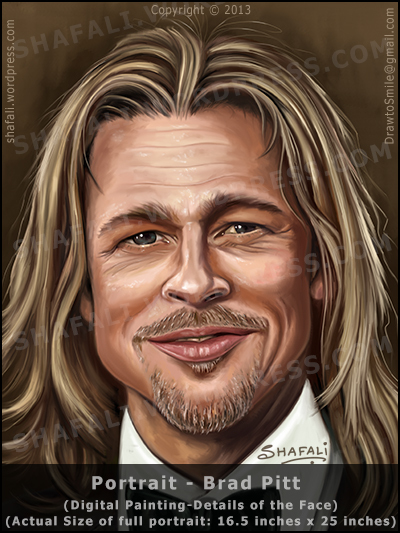 I love to paint caricatures with stories, and painting three well-known faces in the same picture along with a story that made them look like they were friends-forever, was something that made me want to drop everything else and work on it. I sent in the sketch. While everything else in the sketch remained the same as what you see here, I had an open window behind President Reagan and you could see the earth through it. My idea was that these guys could get together only in heaven – and this would add to the effect. This of course, didn’t make to the final painting – nor did Reagan’s hat on a peg – because that would have me add a wall behind them, and a wall would make their environment appear claustrophobic. I am sure that even in heaven, the American Presidents would be given beautiful, spacious quarters… so I decided to add those French Windows looking out into a haze of clouds. President Calvin Coolidge was a visual enigma. I had sketched him on the right side of the page, which meant that I should show his left profile. After hours of research, I came to the conclusion that because President Coolidge had little hair on the left side of his head, he always got his portraits painted/photographs taken to show the right side of his head. I had absolutely no idea what his left profile looked like, until I came upon a 1924 video of one of his public addresses (after he had fixed the Great Depression?) and in that video he twice turned to show his left profile to the camera. I know that he must’ve berated himself for it later, but what was done was done – and a happy caricaturist returned to her drawing board – knowing exactly what to paint. …that their topic of discussion is this specific article about JFK actually being a conservative (and this is why JFK’s got the magazine in his hand,) was super awesome – it came from the super-creative Managing Editor of the magazine! It just made the picture-puzzle fit. Speaking of picture-puzzles, I am reminded of the project…I need to go back to work. Meanwhile, here’s the image closer up. JFK’s favorite drink was Daiquiri. 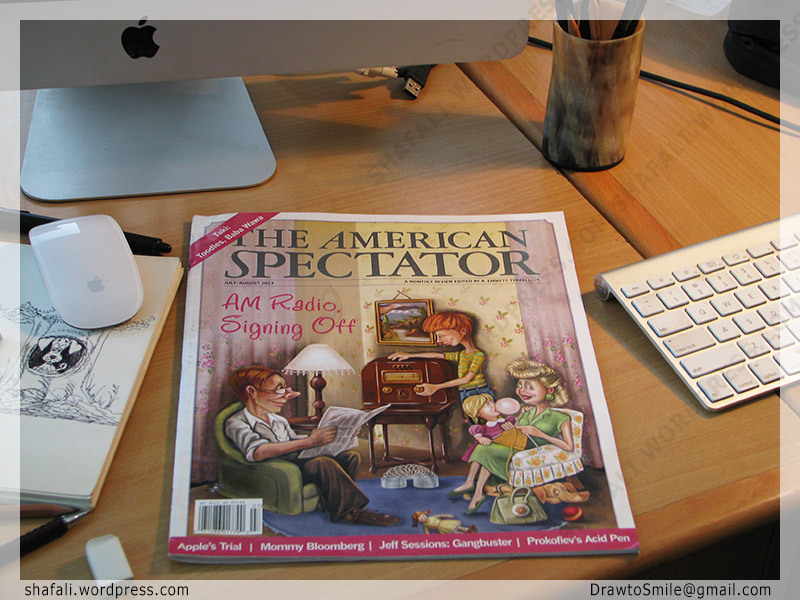 Cover Art -The American Spectator Magazine July-August 2013 Issue. I was earlier planning to post a caricature of Julia Gillard along with my story of why she resigned from her position as the Australian Prime-Minister, but when I received my copies of the American Spectator Magazine’s July-August issue, I couldn’t resist from sharing these pictures here. Let me start by showing you the magazine. When I heard from the magazine that they’d like me to do the cover for the July/Aug issue for them, I felt thrilled yet a bit anxious. A cover is, well, a COVER. I could live with having forgotten to paint those draw-strings on Red’s pajamas, but when an image is destined to become the cover of a magazine, it asks for a lot more dedication from the artist. 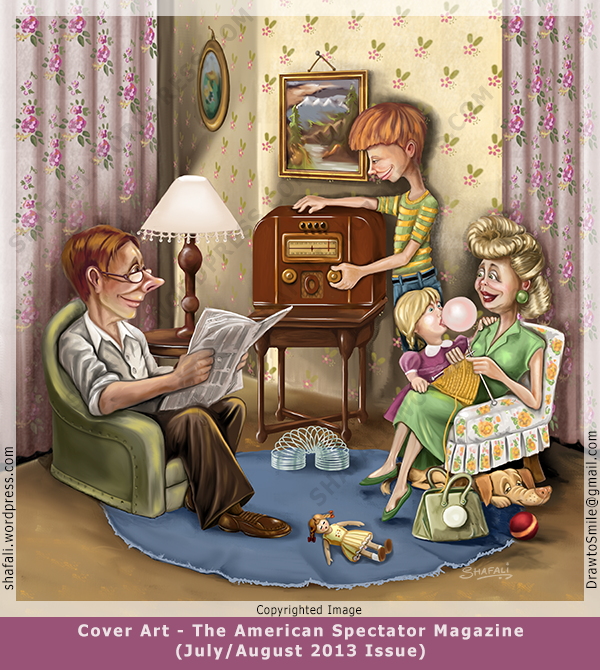 The requirement was – an American family of 1940s/50s, gathered around the radio. Sounds simple, right? Let us analyze. An American family? That was easy. I am so completely into Hollywood movies, American News (CBS News is on my top-bar,) and American sitcoms that I often think of myself as a virtual American. But an American family of 1940s/50s? I wasn’t even born in the 40s and 50s. In fact, my mom must have been a little girl back then. So, I had to research. I had to research the radio, the dresses, the toys, the papered walls, the floral couches, the pooch (who would’ve been a cocker-spaniel if my friend Nancy wouldn’t have told me that the middle-class family in those days would likely own a mutt and not a spainel,) and the colors that would make it look more like the 1940s. So, upon receiving the requirement, I did my research, got it all into a sketch, and sent it over for approval. After they okayed it I began painting…and I did little more than paint for the next many many many hours. Eventually, a very tired, zombie-like me sent the artwork to the Magazine , plopped down on the bed and got ported to Atlantis. The next morning, I heard from them that they were happy with it. I took a small break from work and then returned to work on a Graphic-design project. Then two days ago, I received the copies of the magazine. The cover looked even better than I thought it would. The Design team had done such a great job on it. The subtle, low-intensity colors in the Title, the subtitle, and the top and bottom bars integrate with the picture seamlessly. I was so happy when I looked at it that I decided to photograph it and post it along with the artwork. Here’s the image closer up. I’ll return with Ms. Gillard’s story soon 🙂 Until then keep drawing to smile.